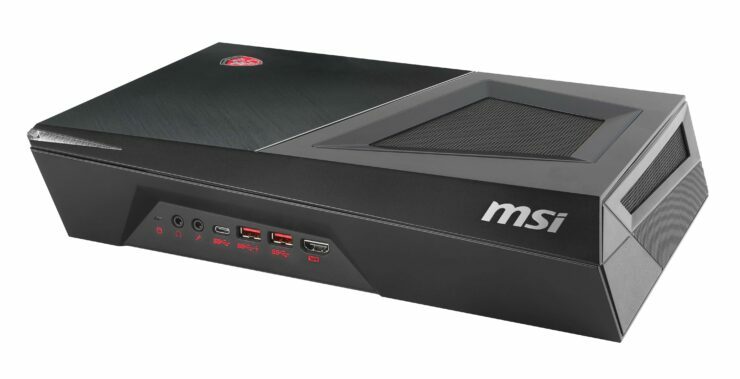 MSI Trident 3 is the latest enthusiast system designed for gamers looking to replace their existing console. Though it is going to be costlier compared to an Xbox One or a PlayStation 4, the improved performance will result in better visuals, and it is VR ready right off the bat. Thanks to improved engineering and manufacturing of efficient components like the GPU and CPU, MSI was effortlessly able to cram in those components inside a console-like chassis, although there were a few comprises that had to be made. First off, there is no CPU present that features an unlocked multiplier primarily because it would shoot up the retail price as well as the internal temperatures of the system should you decide to start overclocking. Additionally, the most powerful GPU inside the Trident 3 is limited to a GTX 1060, most likely due to pricing constraints. MSI is definitely aiming to sell you a console replacement, but the purchase will not feel like a replacement if you’re forced to pay a small fortune for it. The base model of the Trident 3, which features a Core i5 processor is going to start at $899 and the Core i7 model will definitely set you back by a lot.